The BBC is set to launch a version of the iPlayer for Windows Phone devices 'within weeks,' according to a Nokia spokesperson. The Inquirer has word from the Finnish smartphone giant, and Microsoft's chief Windows Phone ally, that the hugely successful on-demand app will end its self-imposed exile on the platform. 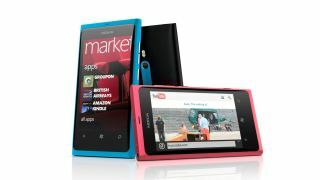 Speaking to the site at the UK launch of the Nokia Lumia 610 handset, a Nokia staff member said: "BBC iPlayer is expected to arrive on Windows Phone within the next few weeks, a sign that the Windows Phone Marketplace is attracting more developers." Interestingly the 'spokesman,' who probably wasn't authorised to be saying any of this, revealed that Sky Go will arrive on Windows Phone but was a "good few months away." The launch of the iPlayer would be a huge boost for UK-based Windows Phone fanciers, who may have been put off because they can't live without the Beeb's catch-up service. Indeed, the Windows Phone software itself is beautiful and functional while the Lumia 900 might be Nokia's finest hardware design ever. However, the only missing piece of the puzzle is those content-rich apps. The current absence of the iPlayer and SkyGo makes it a bold move for iPhone or Android users to ditch their OS and respective app stores for Windows Phone Marketplace. But that could be about to change.